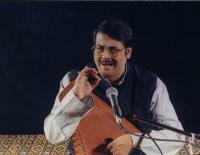 Pandit Ajoy Chakrabarty is one the most popular vocalist of India and the most respectable artiste of Patiala Gharana. 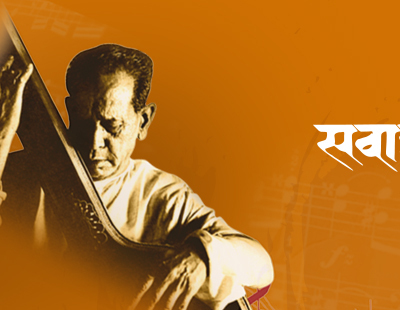 Besides singing Dhrupad, Khyal, Thumri, Dadra, Tappa and Carnatic music, he is equally at home in rendering many others forms of Indian vocal music including Geet, Ghazal, Bhajan, Keertan, Folk songs, film/non-film songs of old and modern times in different languages like Hindi, Urdu, Bengali, Tamil, Telegu, Persian and even English, which all together has made his artistry absolutely a solitary example in the music scenario of our country. Besides performing in almost all important Music Conferences throughout India, he started touring across foreign countries from 1983. More than one hundred albums are already in his possession published by various record companies of our country and foreign lands like USA, Canada, UK, Germany, etc.